72 years ago this month tragedy struck New Milton when the town was bombed for the third and final time during World War Two. During the evening of Friday 22nd of January 1943 a lone German ‘hit and run’ raider flew over New Milton and dropped four bombs. 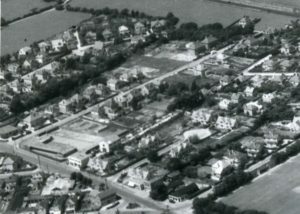 One of the bombs made a direct hit on a house named ‘Mere Villa’ in Vincent Road, New Milton. The three other bombs fell nearby. Vincent Road was and still is a residential street between Gore Road and Albert Road. At this time there was a school made of wooden huts on the corner of Vincent and Gore Roads. A witness to the bombing was Catherine Stuart, now Mrs Catherine Collingwood . 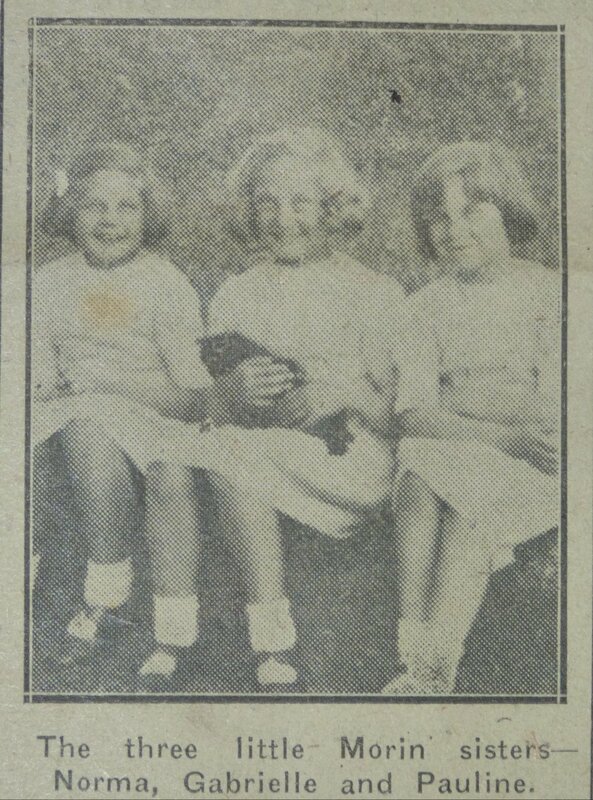 In 1943, aged 13 Catherine lived 4 houses away from ‘Mere Villa’ at a house called ‘Nuthurst’. She lived with her mother and her 17 year old brother, who was just about to join the Royal Air Force. She cannot remember if the air raid siren had gone off but does recall that she was in the Morrison Shelter, which was a large steel cage under the kitchen room table. Suddenly there was a very loud ‘CRUMP’ noise which was extremely close to her family house. Soon an Air Raid Warden knocked on their door and gave them a few moments to gather some possessions and leave the house. The reason given was that it was feared that there were one or more unexploded bombs nearby. Catherine and her mother dressed and with a few possessions walked to a friend’s house, Mr and Mrs Avery in Barton Court Avenue. 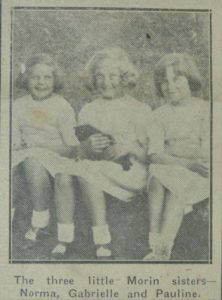 Their friends kindly allowed them to stay with them for a couple of days until the authorities gave Catherine’s mother permission to return home. On their return home if became apparent that a bomb had destroyed the house four doors away from their house in Vincent Road. In the house were two families lodging together. Tragically there were five deaths. 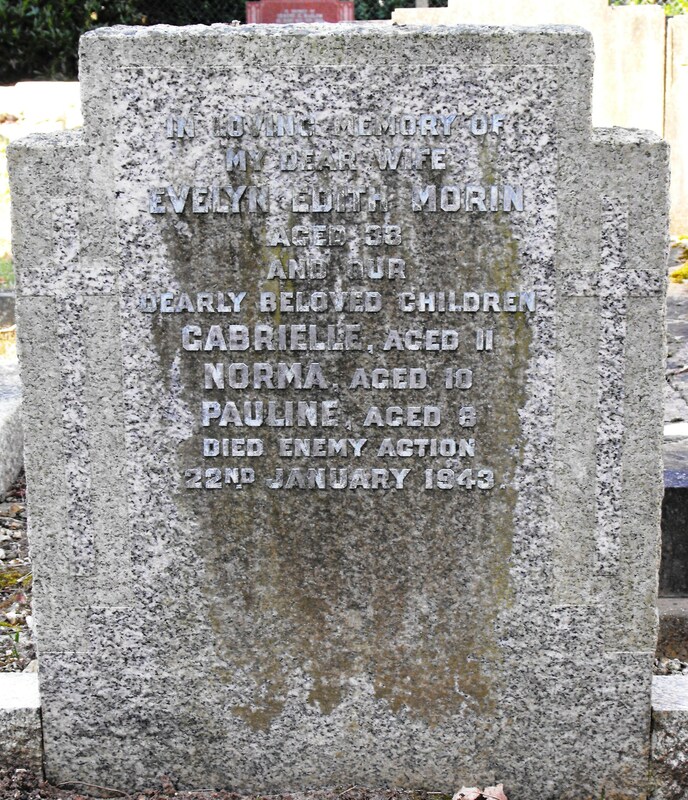 Mrs Evelyn Morin and her three children, Gabrielle aged 11, Norman aged 10 and Pauline aged 8. 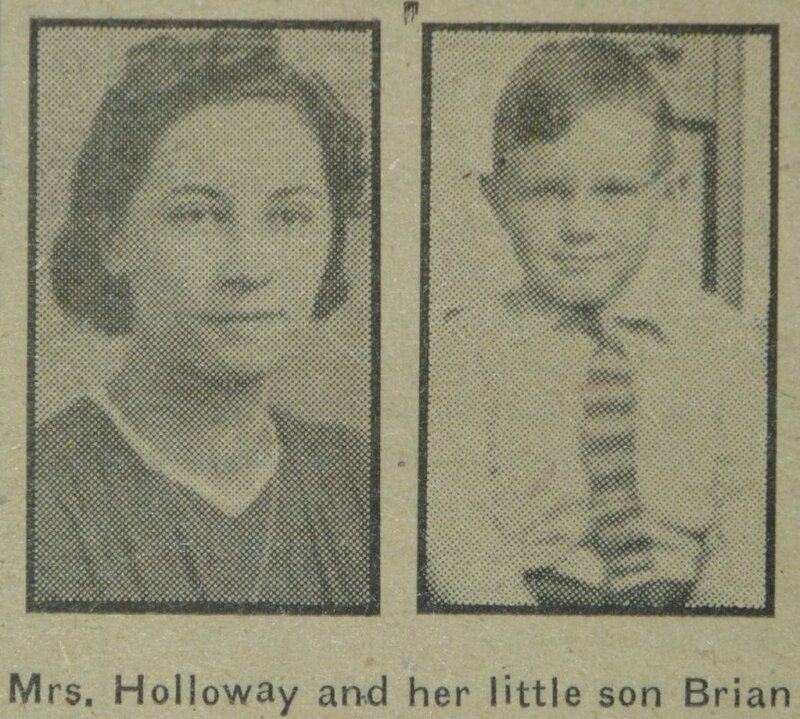 Also in the house was Brian Holloway aged 6 who was killed. Brian’s mother Mayence Holloway was severely injured. The Holloway and Morin families had been living in Southampton. With Sergeant Holloway serving in the Royal Engineers and Gunner Leonard Morin in the Royal Artillery, Mrs Evelyn Morin and Mrs Mayence Holloway had decided to move to New Milton which was considered to be safer than war torn Southampton. The two families rented ‘Mere Villa’ together. When the enemy aircraft was first heard overhead, Mrs Morin went to the room in which her three daughters were sleeping together. As she opened the door the bomb exploded killing her and her children outright. The first rescuer on the scene was a Mr Sidney Burt who was an Air Raid Warden living in Vincent Road. He located Mrs Mayence Holloway who had been blown out of the house and was lying in the garden severely injured but still conscious. She was able to tell the emergency services how many people were inside. She was the only survivor. Sadly her 6 year old son, Brian, was found dead in a neighbouring garden. 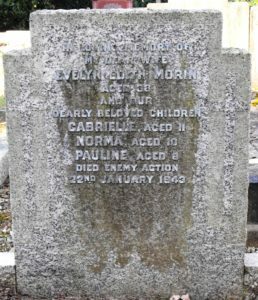 The Morin family were buried in New Milton St Mary Magdalene Church yard. 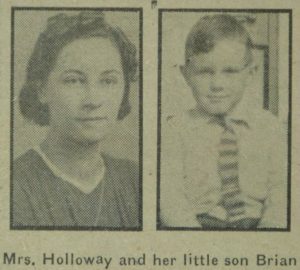 Young Brian Holloway was also buried in the same cemetery. This is a truly tragic episode in the history of our town.